The Urban Areas Security Initiative (UASI) Program assists high-threat, high-density Urban Areas in efforts to build and sustain the capabilities necessary to prevent, protect against, mitigate, respond to, and recover from acts of terrorism. The UASI program is intended to provide financial assistance to address the unique multi-discipline planning, organization, equipment, training, and exercise needs of high-threat, high-density Urban Areas, and to assist these areas in building and sustaining capabilities to prevent, protect against, mitigate, respond to, and recover from threats or acts of terrorism using the Whole Community approach. Activities implemented with UASI funds must support terrorism preparedness by building or enhancing capabilities that relate to the prevention of, protection from, mitigation of, response to or recovery from terrorism in order to be considered eligible. However, many capabilities which support terrorism preparedness simultaneously support preparedness for other hazards. Grantees must demonstrate the dual-use quality for any activities implemented that are not explicitly focused on terrorism preparedness. In developing applications for UASI, recipients are encouraged to consider national areas identified for improvement including: (1) Projects that address emerging threats, including cybersecurity; and (2) Projects that enable continuous operation of critical business and government functions including those essential to human health, safety, and/or economic security. The FY18 allocation for the Urban Areas Security Initiative was $580,000,000. Awards are made to State Administrative Agencies (SAAs) that house identified the urban areas. 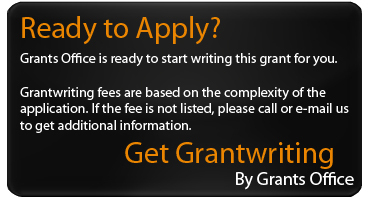 State agencies, local law enforcement agencies, and other nonprofit organizations may apply to states for sub-grants. Up to $590,000,000 is available in total funding for FY19. UASI funds are allocated based on DHS/FEMA's risk methodology. A list of eligible urban areas for 2019 is available on page 5 of the 2019 Program Guidance at: https://www.fema.gov/media-library-data/1555008381091-144e7470ec5e1958d6ad5e103c0825ad/FY_2019_HSGP_NOFO_FINAL_508.pdf. Cost sharing/matching is not required. Project periods will extend up to 36-months, starting September 1, 2019.